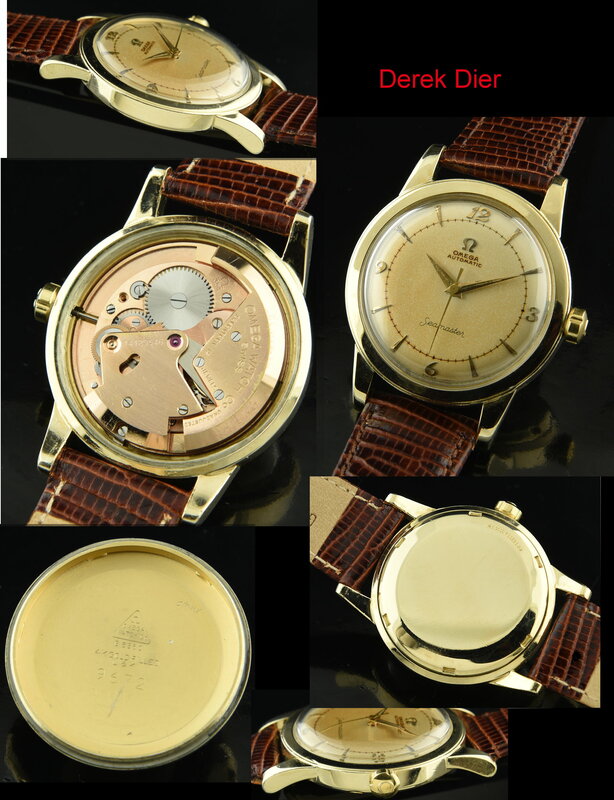 This caliber 354 Omega bumper winding watch dates to 1954 and the fine gilded movement was just cleaned. The 34.5mm. gold filled case with beefy lugs really looks pristine! The original two-tone dial is spectacular-beautifully aged and retains the original Dauphine hands. 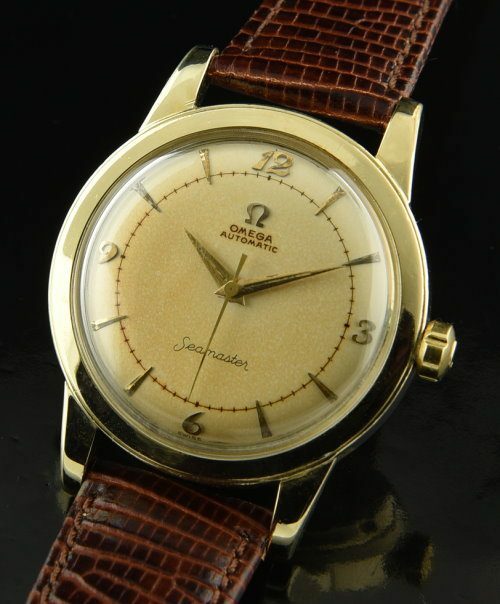 The OMEGA winding crown is correct. You should jump on this fast. Just $895.